B O O T L E A D: The NATO will be the UN of the liberal democratic countries. 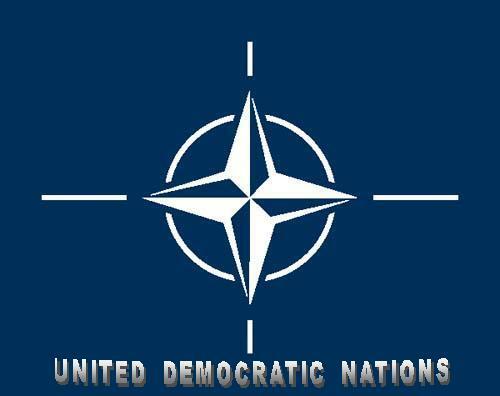 The NATO will be the UN of the liberal democratic countries. Brazil will not be invited for this game! When he was secretary of state, Colin Powell once called the North Atlantic Treaty Organization "the greatest and most successful alliance in history." It's hard to argue with that description, for NATO so successfully waged and won the Cold War, it didn't even have to fight. But this greatest alliance is now in the throes of what José María Aznar, the former prime minister of Spain between 1996 and 2004, calls "possibly the greatest and most serious crisis in its entire history." A "climate of perpetual crisis," he writes, results from a perceived loss "of the organization's raison d'être, the lack of a mission." The origins of this crisis are simple to explain. From its founding in 1949 until the collapse of the Soviet Union in 1991, NATO served as the main instrument to contain Soviet expansionism. After vanquishing the Soviet threat, its mission changed. In the 1990s, NATO became a vehicle for voluntarily sending forces to promote regional security in places like Bosnia and Kosovo. And what now, post-9/11? In a short, brilliant, and operational study, NATO: An Alliance for Freedom, published by Mr. Aznar's think-tank, Fundación para el Análisis y los Estudios Sociales, or FAES, we learn that containing the Soviet Union was not the organization's founding principle. Rather, NATO was imbued with the more positive goal "to safeguard the freedom, common heritage and civilization of [the member states'] peoples, founded on the principles of democracy, individual liberty and the rule of law." Proof that NATO was always mandated to defend democracy against more than Communism can be found in its having forgone the strategic value of Spanish territory and its military force so long as that country remained under the thumb of Francisco Franco's fascist government. Only after he died in 1975 and the government became democratic did Spain get an invitation to join the alliance in 1981. One indication of what NATO's new focus should be came a day after September 11, when NATO for the first time ever in its 52-year history invoked Article V of its founding treaty, with its provision proclaiming that an attack on one is an attack on all. Thus did NATO, after a decade of "war as social work," abruptly awake to the threat of radical Islam. Mr. Aznar and the FAES team build on that critical decision, stating that "Islamist terrorism is a new shared threat of a global nature that places the very existence of NATO's members at risk." Recalling the totalitarian ideologies of the 1930s, they correctly warn that "We should take [Islamist] ambitions very seriously, no matter how ridiculous or delirious they may seem." With real insight, they also stress that terrorism "is only the war-like part of a much more far-reaching offensive against the liberal and democratic world." NATO's mission, therefore, must be "to combat Islamic jihadism and the proliferation of weapons of mass destruction mainly, but not exclusively, among Islamic groups and governments." This means "placing the war against Islamic jihadism at the center of the Allied strategy" and that defeating Islamic jihadism will remain the organization's "key mission" for many years. A second key recommendation in NATO: An Alliance for Freedom: That NATO invite for full membership countries that are both liberal democracies and able and willing to contribute to the war against Islamic jihadism. The study emphasizes bringing Israel into the Alliance as "an extremely important step," and it endorses Japan and Australia for full membership. I might propose, in addition, Taiwan, South Korea, and Chile. To encourage other, struggling, states, the study suggests an associate membership for countries like Colombia and India. To which I suggest that Mexico and Sri Lanka could join their ranks. One topic that FAES does not explicitly take up but hints at: that NATO could replace the United Nations as the key world body. As the UN sinks from one low spot to ever-slimier depths, it becomes increasingly obvious that for an international organization to behave in an adult manner requires limiting its membership to democratic states. A new organization could be created from scratch, to be sure, but it is easier, cheaper, and quicker to build on an existing structure especially one with proven capabilities. NATO offers itself as the obvious candidate, especially as reconceptualized by FAES. Mr. Aznar and his team have produced the best plan yet for confronting radical Islam. Will politicians take it up? Daniel Pipes is director of the Middle East Forum and a prize-winning columnist. Domestically, he appears in the New York Sun and the Philadelphia Evening Bulletin. Abroad, he appears in Israel’s Jerusalem Post, Italy’s L’Opinione, Spain’s La Razón, the Australian, and Canada’s Globe and Mail. He received his A.B. (1971) and Ph.D. (1978) from Harvard University, both in history, and spent six years studying abroad, including three years in Egypt. Mr. Pipes speaks French, and reads Arabic and German. He has taught at the University of Chicago, Harvard University, and the U.S. Naval War College. He served in various capacities in the U.S. government, including two presidentially-appointed positions, vice chairman of the Fulbright Board of Foreign Scholarships and member of the board of the U.S. Institute of Peace. He was director of the Foreign Policy Research Institute in 1986-93. Published in The New York Sun.